September 15, 2018 5:18 pm. Grunt has found his best form to give jockey Damien Oliver a fifth Makybe Diva Stakes victory. A return to Flemington has brought out the best in Grunt in the Group One Makybe Diva Stakes. The Mick Price-trained Grunt had been unplaced in his first two spring starts at Caulfield but relished getting back to the bigger track on Saturday, racing away to win the 1600m weight-for-age race. 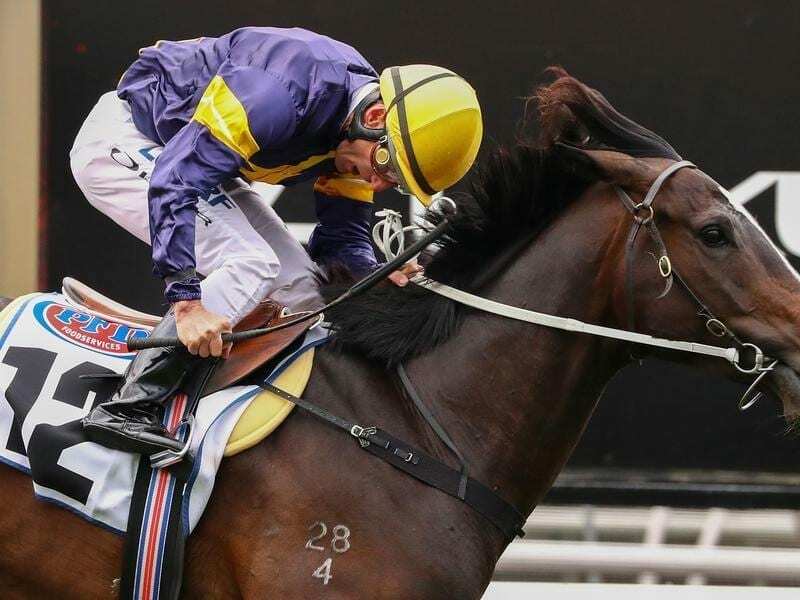 The four-year-old entire’s dominant win was his second at the elite level and he remains unbeaten at Flemington after wins in the Australian Guineas and CS Hayes Stakes last autumn. “He had to stand up today,” jockey Damien Oliver said. “His runs have been OK. He was only beaten a length first-up and two-and-a-half lengths second-up. “But I suppose for a horse with the hype that he’s had, we would have liked to have seen him finish closer. “I’ve always maintained to Mick he appreciates Flemington so much better, the big open track. Grunt enjoyed a perfect run just off the pace in fifth before he ranged up at the 300m to issue his challenge. Giving Oliver his fifth Makybe Diva Stakes win, Grunt ($12) burst clear to defeat Kings Will Dream ($5) by two lengths with another half length to New Zealand stayer Jon Snow ($31) third. Favourite Kementari ($3.70) was fourth while the spring campaign of multiple Group One winner Happy Clapper is over after the gelding, who finished fifth, bled from both nostrils, incurring a mandatory three-month ban. The win has presented Price with a dilemma on which way to go for the rest of the spring with Grunt, who is entered for all the major races. Price is yet to decide whether Grunt will go on a Caulfield Cup or Cox Plate path, while the Melbourne Cup at Flemington is also a consideration. “It wouldn’t worry me if we ended up in the Melbourne Cup with a lighter weight,” Price said. Kings Will Dream remains Caulfield Cup favourite after what jockey John Allen described as another super run. “I thought Kementari would have taken me a little further into the straight but I had to expose him to that wind a little bit early,” Allen said.